When it comes to searching the Net, Google is far and away the market leader. In the U.S., Google captures an average of 67 percent of monthly queries with the runner-up, Microsoft’s Bing, accounting for just about 17 percent. 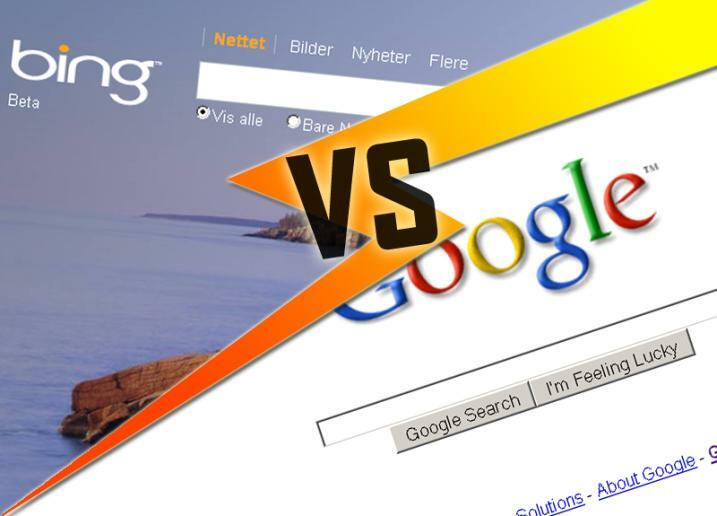 Microsoft wants to change the public’s searching habits with their “Bing It On” campaign wherein users are asked to perform a blind, side-by-side comparison of the two search engines and vote on which they prefer. Can Bing take-on heavyweight Google? I started off by taking the “Bing It On” challenge at www.bingiton.com. You’re prompted to perform five searches. Results are presented side-by-side with ads stripped and the pages looked remarkably similar. The first time Bing was favored 3-1 with one “draw,” the second time I ended up with a straight tie with Bing winning two, Google winning two, and one draw. This surprised me. I found that while in many cases results were nearly identical, Bing’s results were somewhat more pertinent and from sources that I found more reliable. I then performed the same searches using my favorite browser (Chrome) with Bing in one tab and Google in another. Typing www.google.com into my address bar resulted in a plain white page with the search bar. Going to www.bing.com produced full-screen, colorful beach play scene with the search bar prominently placed near the top. At the bottom of the page is a scrollable bar of images related to ‘Popular Now’ news and interest stories. Bing was a more colorful search home page, which I found more appealing. Google is designed to be completely customizable so that you choose your own background, appearance and interest tabs. However, I’m a lazy surfer and in all my years of using Google have never taken the time to change its default appearance. Google and Bing both softly pre-fill with frequently searched suggestions while you type your inquiry; however, I liked that Google also provided sample search results as I filled in details. This allowed me to start with a relatively generic search, “best family vacations” and use the suggested search options and actively updating results to modify my search. I ended up with “best deals all inclusive family vacations” based on Google suggestions and results returned before I even finished submitting my query. Bing doesn’t return results until you submit, so I found that I had to search and go back, search and go back, a few times until I was able to narrow down the results to the information I was interested in. This resulted in Google returning more relevant results more quickly because it helped me figure out what I was really looking for. This may explain Google’s higher “click-through” rate. According to Slingshot SEO, the first result that appears on Google’s search engine results page is clicked (to see the resultant page) approximately 18 percent of the time versus Bing’s approximately 10 percent. This indicates that Google results are more often pertinent to what the user is looking for. Both search engines include ads, with ‘featured’ results (paid listings) in a highlighted box at the top of the search results page. However, Google’s right portion of the screen is dedicated to a list of additional ads while Bing returned only one ad on the right followed by a list of related searches. I liked Bing’s related search options for quickly surfing for additional info. I also find that a large amount of ‘sponsored results’ can be visually confusing when looking for accurate results. The amount of ads on Google is indicative of the popularity of their search engine and resultant appeal to advertisers. If Microsoft is successful in gaining converts with their campaign it may result in an increase in sponsored results. This post is written by Andrea Eldridge and taken from SiteProNews. AppGlu: CMS for a Mobile App!